Visitors to our beautiful country often have a very tight schedule to see the very best of what the country has to offer, and so quite often Peru’s second city is overlooked as just a stop-off on the way to Machu Picchu. We think that’s a shame, because Cusco’s blend of both the architectural and cultural styles of the Incas and the Spanish make it a truly fascinating city to visit. Whether it’s wandering through the narrow cobbled backstreets, catching your breath at the top of one of the many amazing view points around the city, or enjoying the eclectic mix of Gothic, Renaissance and Baroque styles found in the city’s stunning cathedrals, there really is something for everyone. We have specially designed this half day tour to get you to the most important and beautiful sites in and around the city when you have only a few hours to spare. In the city itself we will visit Qoricancha the magnificent Temple of the Sun, we will immerse ourselves in the bustle of the city’s beautiful main square and visit the spectacular Cathedral and we will wander amongst the artisan street-sellers who have peddled their wares for generations. But we will take you outside of the city too, to the ancient sites of Saqsayhuaman, Tambomachay, Qenqo and Pucapucara. Here our expert guides will share with you the fascinating history of the area, while you enjoy the spectacular views of the city. 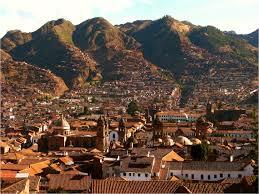 So why not join us and let us help you get the most out of your short time in Cusco. We are sure you’ll come to love the city as much as we do.